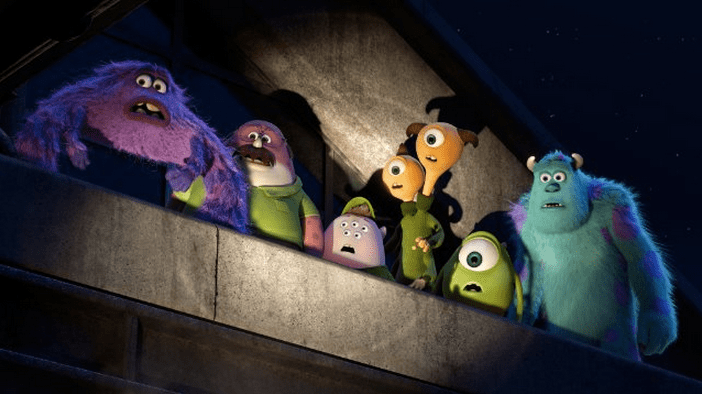 Just got back from seeing Monsters University, and while I enjoyed it, it was definitely a sequel that didn’t reach the heights of the original Monsters Inc.. We already know the characters, and the plot here is very familiar. In fact, if you’ve seen a college movie, you know what happens. Typical of Pixar films, there is also a lack of female characters. The main roles for women include the scary dean (Helen Mirren), who picks on our heroes because they mess up her trophy; a group of interchangeable sorority girls (with a funny one-note gimmick); one of the competition announcers; and the housewife mother of one of the frat brothers. 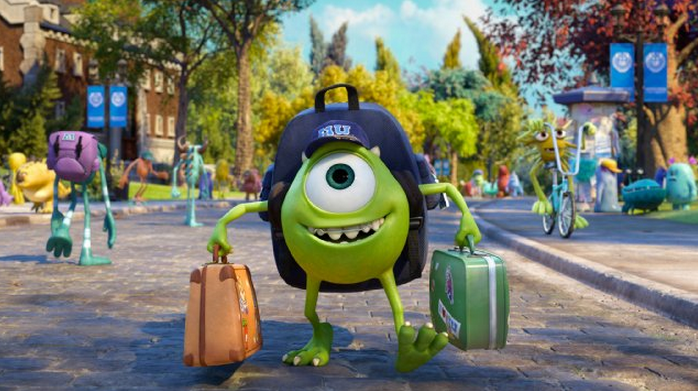 It’s also slow getting started, as we have to watch young Mike Wazowski get inspired (and picked on) on a school field trip to the Monsters Inc. factory scare floor long before we get to the college stuff. Also, the whole plot about Mike not looking scary enough was hard to manage, as most of the monsters look like various rainbow flavors of Jell-O. Since this is a kids’ movie, they’re cute, not repulsive, so that part of the plot falls a bit flat. The animation is terrific, though, with all the characters seeming authentic and well-done. In short, the movie was just what I expected. If not released under the Pixar brand, I would have been perfectly happy with a competent piece of summer entertainment. It’s just that Pixar used to mean having much higher expectations. It’s not as bad as Cars 2, though.